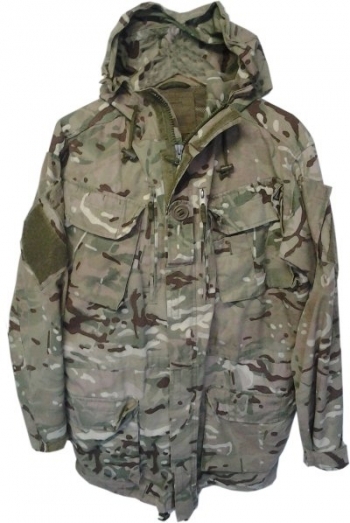 Used genuine issue British MTP camo windproof combat smock. We have a range of sizes available in the shop. Telephone 01535 642987 or email sales@snowdensofhaworth.co.uk for details or just call in to look and try.